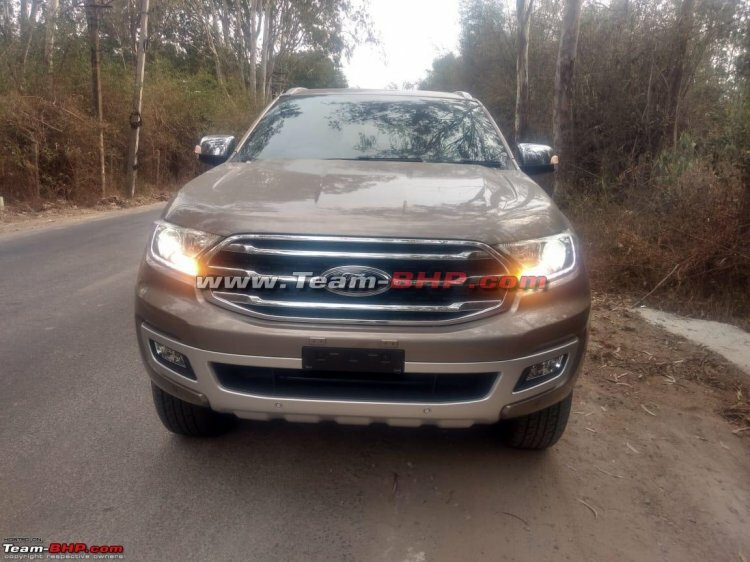 Update: YouTuber Vivek Saini has uploaded a walkaround video of the 2019 Ford Endeavour. The 2019 Ford Endeavour has started reaching dealerships ahead of its launch on the 22 February. 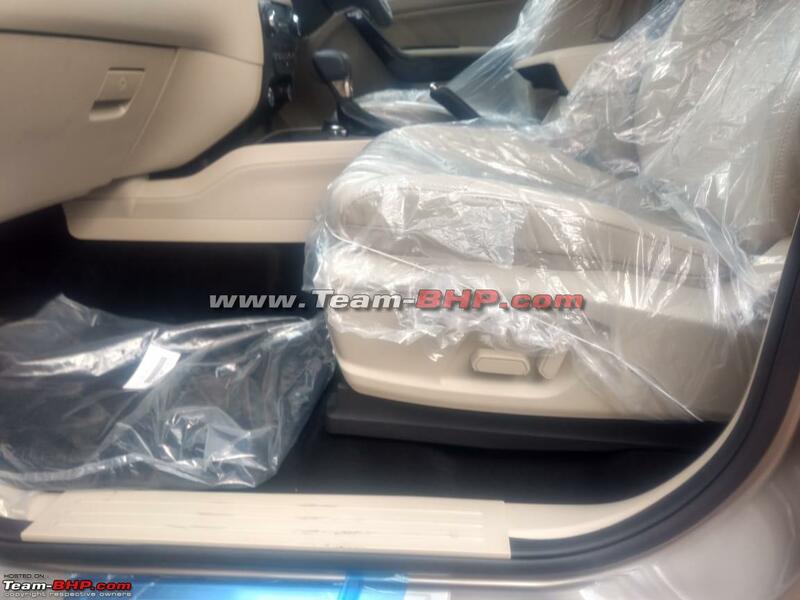 Images showing the model’s exterior and interior from up close have surfaced online. The 2019 Ford Endeavour seen here is painted in a new colour called ‘Diffused Silver Metallic’ in Thailand. The 2019 Ford Endeavour here is painted in a new colour called the ‘Diffused Silver Metallic’ in Thailand. It features a sleeker radiator grille and a new air intake frame and new 18-inch two-tone alloy wheels. The interior design is the same as that of the outgoing model. Newly added features visible are passive keyless entry, engine start-stop button and 8-way electrically adjustable front passenger seat. The updated model should feature foot-activated power tailgate as well. The latest spy shots confirm that the 3.2-litre TDCi diesel engine is continuing in our market. It produces 200 PS and 470 Nm of torque and comes paired with a 6-speed automatic transmission. The 2.2-litre TDCi diesel engine that develops 160 PS and 420 Nm of torque is said to remain the entry-level option. This engine was available with a standard 6-speed manual transmission and an optional 6-speed automatic transmission initially, but Ford had discontinued the former at a later stage. With the facelift, the company is bringing back the low-cost transmission option. Internationally, the new Ford Endeavour is sold with the newly-developed 2.0-litre EcoBlue diesel engine from the Panther engine family in single-turbo (180 PS/420 Nm) and twin-turbo (213 PS/500 Nm) versions. It is paired with a 10-speed automatic transmission. Maybe the new engine will reach our shores next year as a replacement for the old engines, in BSVI form. The new Ford Endeavour offers 8-way power adjustment for not only the driver but also front passenger. The reentry of the manual transmission option in the Ford Endeavour with the mid-cycle update may lower the entry-price from INR 26.83 lakh* to a figure closer to INR 26 lakh*.